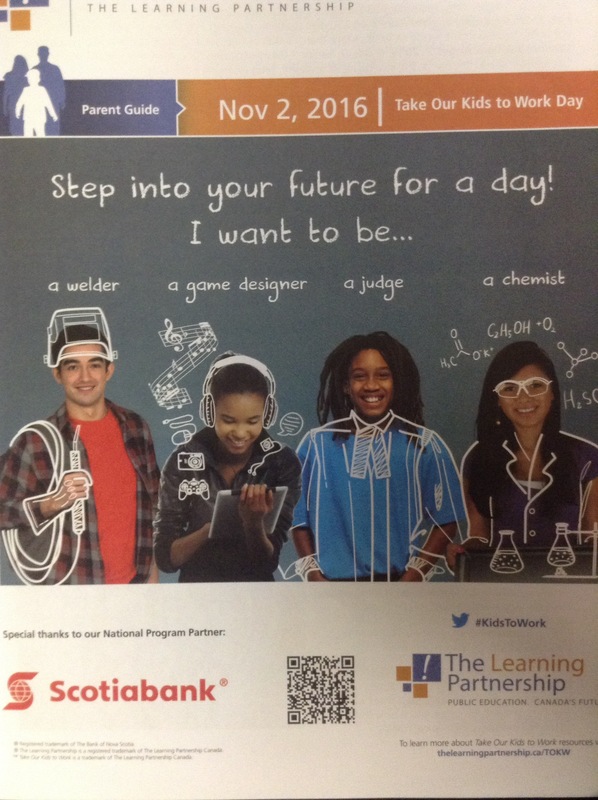 Take your kids to work takes place tomorrow, November 2nd 2016.For students, it’s more than just a fun day. It’s an opportunity to understand the importance of staying in school by seeing first-hand the skills required in today’s workplace. It also allows them to start exploring career options in a practical way, and gaining a better understand of just how many career choices are open to them. Last, but not least. It lets them experience a day in the world of work and begin thinking about the kind of job they might aspire to.